Congress has spent weeks trying to meld the House and Senate versions of the next farm bill into one agreeable piece of legislation. Left in the balance is the current farm bill, which will expire Sept. 30 without an extension. While major programs like crop insurance or the Supplemental Nutrition Assistance Program won’t be affected, the lapse in million of dollars of funding will affect smaller grant and loan programs concentrated on conservation, minority farmers and soon-to-be farmers. Even conservative groups want stop-gap funding to make sure those who really need it have it. “We do see a problem with that and our members do as well,” said Juli Obudzinski, the deputy policy director with the National Sustainable Agriculture Coalition. House and Senate agriculture committee members, including Kansas Republican Sen. Pat Roberts, made it clear Wednesday that there’s no chance a farm bill is passed by the deadline, though they did say it could be finalized after the Nov. 6 midterm elections. It would have to be finalized before the end of December, or else more programs would be affected. 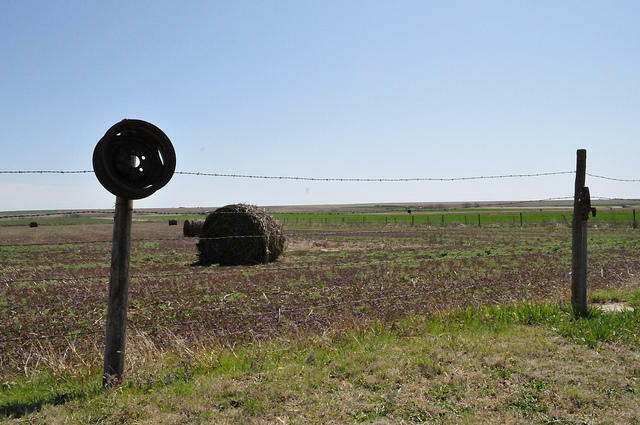 Several programs, such as the Conservation Stewardship Program, which incentivizes farmers to conserve land, may have mandatory funding, Obudzinski said, but the U.S. Department of Agriculture won’t have the authority to implement those programs unless a farm bill is in place. Grants are usually awarded in advance for many programs, such as one for beginning farmers and ranchers, but Obudzinski said that if the House or Senate switch party hands after the midterms, she is concerned that funding will continue to languish. One of the main sticking points between the two versions of the farm bill has been SNAP, specifically more stringent work requirements that the House wants to impose, but the Senate would not. AFP said it isn’t on board with a total lapse of funding while those differences are worked out. Some lawmakers are also critiquing Congress’ inability to pass a farm bill, like Illinois Democratic Rep. Cheri Bustos. “I am extremely disappointed that House Republicans refused to agree to a bipartisan compromise between Senate Republicans, Senate Democrats and House Democrats,” she said in a news release Friday. Meanwhile, House Republicans said they’re working the hardest to pass the bill. “Just know that, the House of Representative guys that are fighting this fight are in it to get this thing done because their recognition of just how tough times are right now in production agriculture,” House Agriculture Committee Chairman Mike Conaway, R-Texas, said in a statement. The “big four” farm bill negotiators — Roberts, Conaway, House Ag ranking Democrat Collin Peterson of Minnesota and Senate Ag ranking Democrat Debbie Stabenow of Michigan — said they’ll try to finish negotiations and have a new farm bill implemented by next year. Kansas farmers are heading to Washington, D.C., next week to meet with members of Congress and the Department of Agriculture. The family farmers and ranchers will attend the National Farmers Union's Legislative Fly-In. Kansas Farmers Union President Donn Teske says the team from Kansas will focus its discussions with lawmakers on several priorities. "The farm economy is first and foremost," Teske says, "and an appropriate Farm Bill with an adequate safety net, which is what the farm program was designed for."